For Cooper’s review of the film, please see the featured post. About the Director: Devon Mikolas was born in the Soho neighborhood of New York City in the mid- seventies. He was an actor for 13 years and worked extensively in the NYC independent film scene as well as on stage. Through the years his passion grew to directing, writing, and producing, all of which he pursues today. His work tends to be more of the “genre” form of film making and writing. (IMDb.com) House of the Witchdoctor is his debut feature as director. He also directed the short “Salvation by Blood” (2010) and acted in Singularity (2007), Mulberry St. (2006), and others. NOTE FROM COOPER: One of my favorite interviews so far. Keep reading! L. Andrew Cooper [LAC]: Your IMDb mini-bio [quoted above] says your “work tends to be more of the ‘genre’ form of film making and writing.” Given the initials after the bio, I suspect you might not have a problem with that statement—but what does it mean to you? What turned you into a “genre” artist, and why (if you do) do you see yourself as a genre artist in the future? Devon Mikolas [DM]: When I was an actor, for whatever reason, that is the area that I worked most in, so I met the whole community and found that I really liked everyone and had the most fun in that genre. When I started writing, it just naturally came out of me, and I’ve always been drawn to demonic imagery and heavy metal music and edgy looking girls and shocking art, so it just came naturally. I would like to say that I like all kinds of art and music, but every artist should ultimately tell the truth, and edgy work is my truth. LAC: You worked your way up in this business. 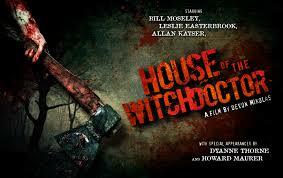 How did you know you wanted House of the Witchdoctor to be your feature debut in the director’s chair? What sets this film apart from others in the genre, and while of course it belongs to everyone who worked on it, what makes it yours? LAC: The film opens with a dark chase through the woods reminiscent of slasher films, but I found some of the most striking scenes occur in relatively bright interiors. What ideas guide your lighting and color schemes? DM: I always enjoy movies that throw you around a bit, meaning sometimes when a film goes for an entire grey look with the lighting, sometimes it works but sometimes it doesn’t. But different lighting schemes throughout can be interesting. I also trusted my cinematographer, Hanuman Brown-Eagle and let him light the shots as he saw them. LAC: On a related note, while the film nods to slashers in both the story and the style, from the title forward it makes fairly clear that even if characters are getting picked off, audiences shouldn’t expect to see a typical slasher unfold. Comparisons to House of the Devil (2009) are inevitable, but what traditions and films do you see your work interacting with most, and why? DM: Let me start off by saying any comparison to House of the Devil is an extreme compliment to me. I love that movie, the simplicity, slow burn, and terror of it, and I also happen to really look up to director Ti West. He’s building a great career, and I respect him. As far as my work goes, there is always something sinister, dark, and demonic in all the stuff I write. I am just fascinated with this being we call Satan. I’ve written, thrillers, dark comedies, slashers, horror, supernatural stuff, super hero stuff, really a bit of everything, but my work is always dark and edgy, and why? Again, because it’s my truth. LAC: While I wouldn’t categorize this film with the extreme horror I’ve been writing about lately, you do go pretty far in some scenes. If you didn’t have to think about investors, market realities, and such things, would you choose to explore even more graphic imagery? Why or why not? LAC: The film also offers some refreshing laughs. How important is humor in your work, and why? 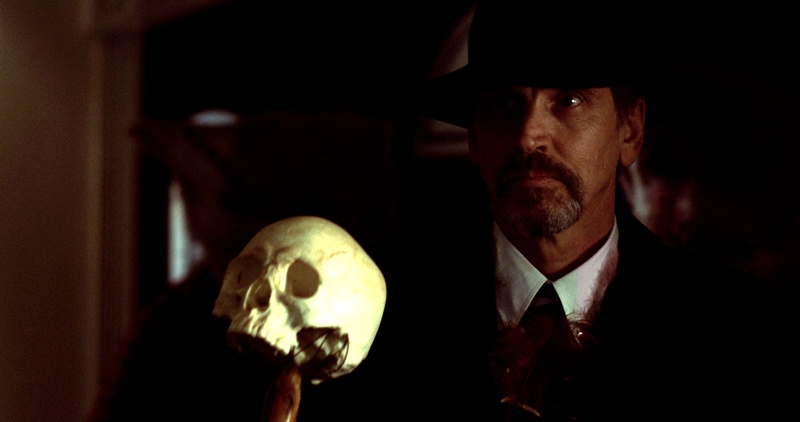 LAC:A lot of that humor comes from Bill Moseley’s character, and he is likely to be one of the film’s big draws. What did his particular chemistry add to your overall concoction? LAC: Why “witchdoctor?” The word has ethnic connotations that seem like a mismatch, but I suspect you’re aware of that…. DM: To be honest, when I write, I get the skeleton of the story in my head, and I always pick the title first, before I write a word. Then I craft the whole thing around that. This tale was always about the nastiness and cruelty of what happens in that house for me. But would you believe a previous draft of the script had that character of different ethnicity? LAC: SO—what’s next? Tell me a little about your next project if you can, but also tell me how you want people to understand what “a Devon Mikolas film” is going to mean in years to come. DM: I’m currently having meetings pertaining to my next film. It will probably either be, Brisket Bob, a funny and sadistic tale of BBQ horror I wrote or, Chores of My Father, my tight, heavy cerebral psychological thriller. I want everyone to have their own experience with my work. Some will like me, some will not. But my goal is to do edgy work that at time pushes the boundaries, makes you laugh or makes you think or feel disturbed or unsteady. I like driving story lines, and it will always be a little dark with me. 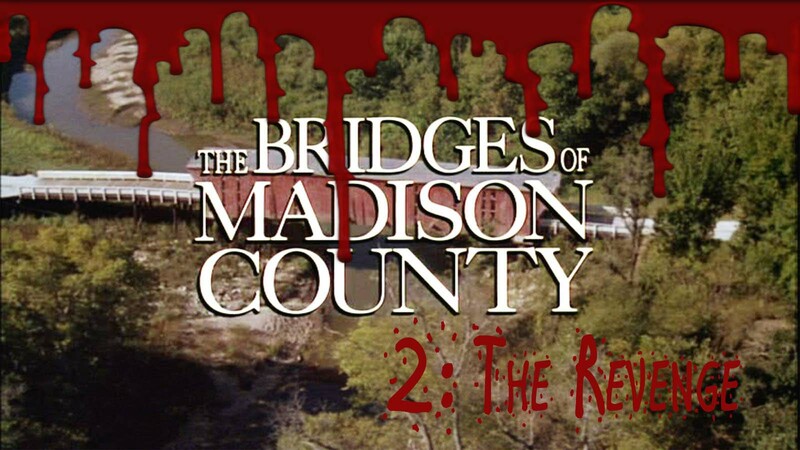 Who knows, though, maybe I’ll join Kabbala and direct Bridges of Madison County 2 later in life!! Thanks for the interview!